The United Arab Emirates are set to host the world no. 3 team Australia in a T20I match at the Sheikh Zayed Stadium Nursery 1 in Abu Dhabi on Monday, October 22. This will be their first ever meet in this format and the Aussies will begin as the obvious favourites to clinch this game. Though one may not underestimate UAE in their own den, the experience of Australia gives them a certain advantage over the hosts. Australia will be eying this game as an opportunity to familiarize themselves with the conditions and gain momentum before taking on Pakistan in the T20 format. 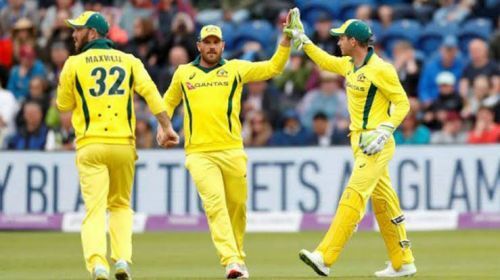 The Aussies are coming into this game on the back of tri-series success in Zimbabwe, where they managed to reach the finals and will aim to replicate it against the mighty UAE side. Aaron Finch and Glenn Maxwell will be the key men in this batting lineup for Australia. Both batsmen have a respective strike rate of 161.54 and 163.31 in T20Is and are expected to counter the opposition in an aggressive fashion. In the bowling department, Billy Stanlake and Andrew Tye will pose the biggest threat to the hosts with the ball. Both were quite impressive in the T20I series in Zimbabwe and they are likely to do the damage once. While Australia are expected to rest Mitchel Starc against lowly Emirates, which means these two will have to bear additional responsibility. Aaron Finch (C), Mitch Marsh, Alex Carey or Ashton Agar, Nathan Coulter-Nile, Chris Lynn, Nathan Lyon, Glenn Maxwell, Darcy Short, Billy Stanlake, Andrew Tye and Adam Zampa. 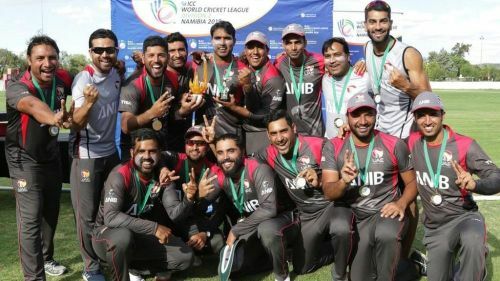 UAE are currently ranked 13th in the ICC T20I Rankings and have played 26 T20I fixtures with nine wins and 17 losses. Their last T20I assignment was against PNG at home in April 2017, when they swept the series 3-0. While they won ICC WT20 Asia A Qualifier quite convincingly few months ago and will gain a lot of confidence from that. UAE batting will rely mainly on Shaiman Anwar and Rohan Musta. Anwar has scored most runs for the team in T20Is (747 runs in 26 matches and has four fifties and a hundred to his name) followed by Rohan who is their second highest run scorer with 411 runs to his name. While Ashfaq Ahmed and Chirag Suri impressed everyone with their recent performance in Asia Cup Qualifier (ODI) and were among leading run scorers in the tournament with 224 and 220 runs respectively. The team will expect all of them to put their feet forward on that occasion and take Hong Kong off to a brisk start. When it comes to bowling, the skipper will turn to the likes of Muhammad Naveed and Ahmed Raza to apply pressure on the Australian batsmen. Naveed is the team's leading wicket-taker in T20I with 29 scalps. While Raza was their most successful bowler in the Asia Cup Qualifier with 16 wickets in 6 matches. Rohan Mustafa (C), Ashfaq Ahmed, Chirag Suri, Rameez Shahzad, Shaiman Anwar, Ahmed Raza, Imran Haider, Muhammad Naveed, Amir Hayat, Ghulam Shabir and Zahoor Khan.